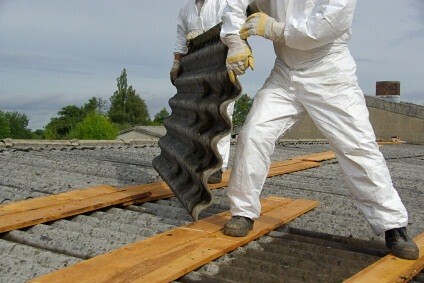 Looking to hire an asbestos removal specialist in Brisbane? No asbestos removal jobs are the same and will depend on a numbe of factors such as access to the site, size of items requiring removal and how ugent you need your job done. Jobs Timing: ASAP. This job is urgent. Site Access: A truck can access the site directly. Jobs Timing: within the next fortnight. Jobs Timing: within the next few days. Brooke’s comments: The whole house. Three bedroom, 1 bathroom, kitchen, lounge. Need all internal linings wall and ceiling removed. Approx 300 square metres of lining. Jobs Timing: within the next few months. Greg’s comments: Remove Asbestos sheeting in roof faÃ§ade of our warehouse. Replace with new sheeting and paint. Approximately 18 sheets that are 2m wide and 60cm high. approximately 1m x 20m basic job. easy to get to. kerry’s comments: remove external cladding from front and rear wall of house on high blocks. Approx 80 sq m. Front wall can be seen on Google street view 53 turner ave, fairfield. – I’m available to meet on Monday, Tuesday, Wednesday and Thursday. Jen’s comments: We have already removed asbestos and we are wanting it removed from the property. We have approximately 5 large asbestos bags 3/4 full and ready to be taken away. Site Access: Direct access is not possible by truck. Melody’s comments: 30 metre long asbestos fence to be removed. Access by double gate at front of property but path reduces to half that size to lead to the back of the property where the fence is situated. Patrick’s comments: We need a small amount of asbestos removed to allow the pipes for a new air conditioner to be run through a wall. – I need the job done within the next cuours. ADAM HATELEY’s comments: 3 bed 1 bath with living room and kitchen internal walls and ceilings. High set, sides and back of lower level. Kelly’s comments: Asbestos removal required for eave soffit, walls exterior to original house (now internal due to extension/renovation), exterior wall cover strips & interior ceiling. 3 bedroom house (excluding bathroom as already removed with renovation). House will be vacant at the time & have no furnishings. Lee’s comments: It appears there may be asbestos cement sheeting on the internal walls and ceiling of this old home. I need an inspection done and a quote for the removal and disposal. If possible the quote should include the replacement of the wall/ceiling in the same style. I’m looking to have the inspection done between 4-11 January 2016, and for the removal to happen from the 11 January 2016. Garry’s comments: Removal of wall sheeting to see full extent of white ant damage. Nabil’s comments: We have just bought a house. We have been told by a builder that the inside of all the wardrobes, the laundry walls and the bathroom walls are all asbestos. We would like a quote to remove all of this, and also a quote to only remove one cupboard (containing asbestos). We are also interested in taking out a couple of walls and would preferably like this done at the same time. Please contact to discuss further.